Teach how to play harmonica for kids with our easy harmonica lessons for kids. 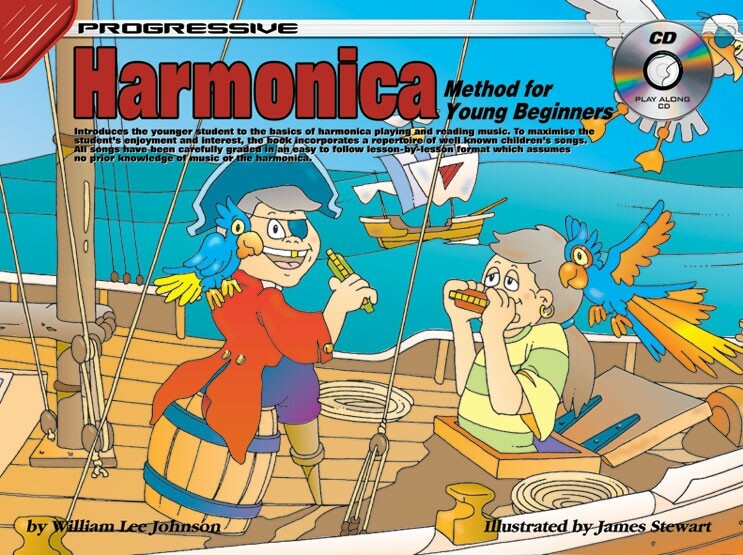 Progressive Harmonica Method for Young Beginners contains all you need to know to start teaching kids to play harmonica - in one easy-to-follow, lesson-by-lesson children's harmonica tutorial. Suitable for children aged 4 to 8 years and all types of harmonicas including 10-hole diatonic harmonicas in the key of C including Marine Band and Hohner harmonicas. No prior knowledge of how to read music or playing the harmonica is required to teach a child to learn to play harmonica from this book. 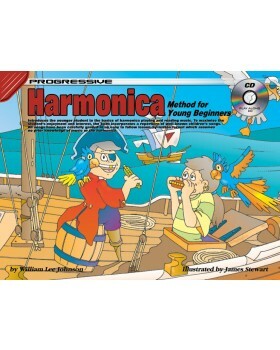 Contains everything you need to know about how to teach a child to play harmonica today. Kids harmonica lessons have never been this easy for parents and teachers who want to teach children to learn how to play the harmonica, fast. LearnToPlayMusic.com's harmonica lessons for kids are used by children's harmonica teachers worldwide to teach how to play harmonica for kids. For over 30 years, our team of professional authors, composers and musicians have crafted music lesson books that are a cut above the rest. We offer a large selection of music lessons for kids that cover many different instruments in print, eBook and app formats. Awarded the 'Quality Excellence Design' (QED) seal of approval for eBook innovation, LearnToPlayMusic.com continues to set the standard for quality children's music education resources. I got this book for my now 5 year old for his 5th birthday. He is so excited to learn to play the harmonica, but the other books out there don't seem to be for his audience. This book is. It explains music theory and the how-to's of harmonica playing in easy to read (he reads), large print and with pictures. There is also a set of audio recordings included so it effectively teaches all kinds of learners. I can't wait for him to open it and start with Lesson 1! From looking at the book, I have confidence that he'll be able to pick it up and start right away.